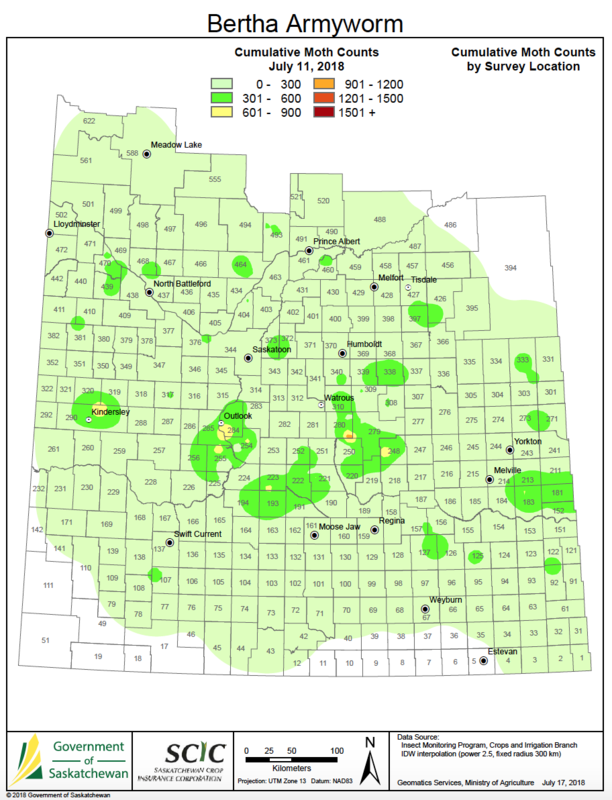 Saskatchewan bertha army worm trap count results, as of July 11. A few potential hotspot are showing up. 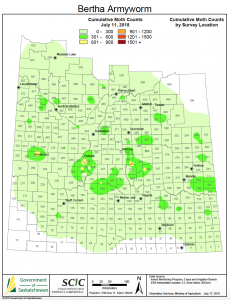 Alberta’s bertha map indicates a few spots with counts in the medium risk range and one at high risk so far. Manitoba. Manitoba has one location at Tilston (southwest corner) in the moderate risk range, and a few in the uncertain risk range. Find the latest Manitoba updates here. 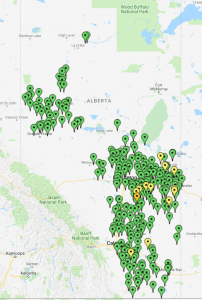 “When an area starts to get a mixture of traps near 300 moths, some over 300 and the odd one even over 900 moths, then we are into potential outbreak territory. 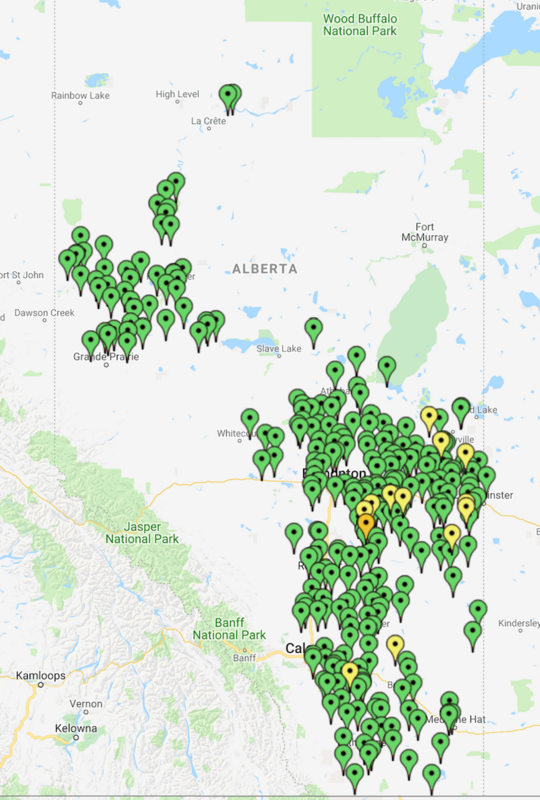 … It means we need to be scouting canola fields in the vicinity of the elevated trap catches.” Read Scott’s full report.